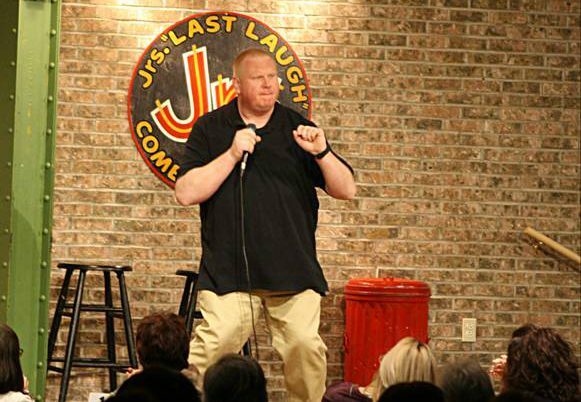 He is a frequent performer at comedy clubs, colleges and casino’s as well as corporate shows around the country. 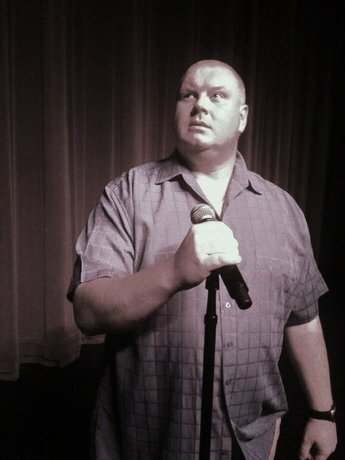 He has appeared at the Gilda’s Laughfestin Grand Rapids,Mi the Laughing Skull Festival and the Canton Comedy Festival. He was the winner of the TV20 Detroit “That’s Funny” Comedy Contest on My Network, as well as a finalist in Dave Coulier’s “Clean Guys of Comedy/Unbleepable Contest.” Chris is also a favorite on radio stations all across the country. He has shared the stage with some of his favorite comics, including Bob and Tom’s Mike Armstrong, Larry Reeb, Heywood Banks, andDave Coulier. He credits his family and God for giving him his quick wit and ability to laugh. Chris ends each show with a quote that sums up the way he views the world. “ If you can’t get ahead in life, at least get a little behind”. IT WAS AWESOME! THEY HAVE BEEN TALKING ABOUT IT ALL DAY. THANK YOU SO MUCH! CHRIS WAS ABSOLUTELY HILARIOUS! HE CAME TO OUR EVENT AND HAD EVERYONE IN STITCHES! OUR TEAM WAS TALKING ABOUT HIM FOR DAYS AFTER THE SHOW! “YOU WERE GREAT, CLEAN AND VERY FUNNY! 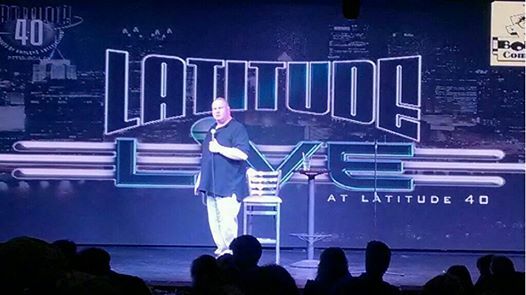 IT WAS AN AMAZING NIGHT OF COMEDY! WE WERE AMAZED BY YOUR SKILL, ALL THE FEEDBACK WAS VERY POSITIVE. THANK YOU FOR SHARING YOUR TALENTS WITH US, BLESSING TO YOU ! CLEAN, CLEVER, CRAFTY AND FUNNY, YOU WERE GREAT! I HAVE RECEIVED NOTHING BUT POSITIVE FEEDBACK ABOUT YOUR PERFORMANCE AT OUR BREWHAHA, THANK YOU FOR A GREAT SHOW! EVERYONE LOVED YOUR COMEDY, IT WAS CLEAN AND FUNNY! MY COMPANY HAD COMEDIAN CHRIS YOUNG OUT FOR A CORPORATE FUND RAISING EVENT. WE WEREN’T SURE HOW WELL IT WOULD BE RECEIVED IN A CORPORATE ENVIRONMENT, BUT IT WENT GREAT! I WOULD HIGHLY RECOMMEND HIM IF YOU ARE LOOKING FOR A FUN EVENT TO DO IN THE OFFICE! THANKS CHRIS! THANK YOU AGAIN FOR DONATING YOUR TIME AND TALENT TO TREASURE COAST FOOD BANK’S 1ST ANNUAL OUT LAUGH HUNGER COMEDY SHOW! YOU WERE TERRIFIC! IT WAS SUCH A PLEASURE MEETING YOU. ALL THE BEST! WE SAW CHRIS AT SUNRISE THEATRE IN FORT PIECE, FL LAST NIGHT MAKING US ALL LAUGH AND FIGHT HUNGER. WE WERE STILL LAUGHING THIS MORNING ON THE BEACH AT SUNRISE, WHEN WE SAW SOMEONE WALKING THE BEACH WHO LOOKED LIKE CHRIS. WE CALLED OUT A FAMOUS PUNCHLINE, BUT THE GUY CLEARLY DIDN’T SHARE CHRIS’S AWESOME SENSE OF HUMOR! THE SHOW LAST NIGHT WAS AMAZING, YOU WERE FUNNY AND CLEAN! REALLY GREAT JOB , EVERYONE IS STILL TALKING ABOUT YOU AND THE FUNDRAISER, THANK YOU SO MUCH! CHRIS, YOU MAY USE US AS A REFERENCE ANYTIME! THANKS SO MUCH FOR YOUR (HILARIOUS) TIME AT OUR COMPANY PARTY! YOU WERE GREAT TO WORK WITH.